Linde Gases has designed a radical new valve for its gas cylinders, with support from the IfM’s Design Management Group and IfM ECS. Linde Gases is part of The Linde Group, a world-leading gases and engineering company with more than 63,000 employees based in more than 100 countries and with revenues of in excess of €16bn a year. 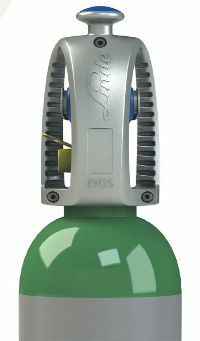 In 2011 its industrial gases division faced a product development challenge within its ‘packaged’ (or cylinder-based) gases division. With approval and direction from the Linde Executive Board, the Linde packaged gases team was asked to develop a new, innovative and market-leading valve design for their gas cylinders. The new valve was to not only improve upon the company’s existing valve offerings and combat any competitive threat; the ambition for it was to redefine the possibilities of valve design and so further strengthen the Linde brand. While the team perceived this to be a unique opportunity, it was faced with limited internal capability for the task. Since then Linde has developed a collaborative, long-term relationship with the Institute for Manufacturing (IfM) and its knowledge transfer arm, IfM Education and Consultancy Services (IfM ECS), to help it address this issue. Addressing this deficit was not straightforward. The gases division of The Linde Group had grown significantly through acquisition, having bought the Swedish gas company, AGA, in 2000 and the British BOC Group in 2006, adding a layer of complexity and regional variation to existing valve design which initially masked the scale of the challenge. In addition, Linde, along with its competitors, operates in a highly regulated market so any radical design departure would need to undergo high levels of scrutiny to ensure safety compliance as well as delivering functionality. The first step was to create a ‘task force’, drawing from a wide range of disciplines and backgrounds from the company’s regional business units, including technologists, procurement, sales and marketing. The task force then enlisted the help of IfM ECS to develop a technology roadmap, starting with a broad sector landscape which provided the context from which they could drill down to individual topic roadmaps, including one for valve development. At their next meeting, James, with the support of IfM ECS colleagues, helped the task force to brainstorm innovative approaches to new product design. This led to a decision to run a competition in which design agencies would present their ideas. From a long list of candidates, 15 design companies were shortlisted and their concepts brought to the IfM for review by the task force. It was agreed that no single company had delivered a complete solution, so the team elected to take the best design, technology and manufacturing elements from the various proposals to develop their own specification. A project team was set up and external companies selected with expertise in design, technology and manufacturing. Under James’s guidance, the team approached the collaboration with care, aware that a first-class working relationship between the different parties would be fundamental to the product becoming a commercial success. A major challenge for the team was to avoid infringing competitors’ patents. Adopting a two-stream approach allowed the task force to develop the original design concept while at the same time progressing a new and quite distinct internal structure. The next challenge was to choose the best materials and mechanism for opening and closing the valve. The industry norm of a ‘screw down’ mechanism allows for wear to the valve seat and can just be turned a bit further to achieve a good seal. A lever, however, pushes down to a fixed point so if it wears, the valve will not close fully. Overcoming this challenge initially perplexed the valve designers and the development team found themselves back at the IfM for support in reviewing their options. In the meantime, however, competitors had also identified the valve design gap that Linde had been pursuing and had just introduced a new patent, which necessitated some adaptations to the Linde design. Fortunately, with its two-stream approach, Linde was in a strong position. Having carried out the initial technology roadmap with the IfM, the team well understood the need to be flexible across the life the project. This included an option to pursue a basic, lower-cost valve design or to build in mechanisms which would support future upgrades. With their competitor electing to patent a not dissimilar, lower-cost valve design themselves, this essentially sealed the decision for Linde, setting the team on the road to a higher specification version of their valve design. The new valve would be more expensive for customers, but would work with any platform and provide much greater flexibility for the future. Linde has succeeded in its goal of developing a new state-of-the-art valve. Intuitive to use, it has a lever to ensure ease of opening and closing and is safeguarded by a button to release the mechanism. Crucially, it has an innovative integral contents gauge which shows how much gas remains in the cylinder. For both Linde’s customers and staff this will have huge benefits, making the delivery and handling process significantly more efficient. The valve’s user-friendliness also brings with it important safety benefits by eliminating the temptation to close the cylinder using the external regulator which can result in potentially dangerous leaks. One of the next-generation needs Linde has already identified is to have a built-in regulator. Regulators are typically attached to the cylinder but in some circumstances, such as when working at height or underground or when requiring high mobility, separate regulator units, even when securely attached, can be problematic. With careful forward planning of the product platform, Linde’s new valve is designed so that its structure can accommodate an integrated regulator. Although more costly to manufacture, its obsolescence-resistant design means that Linde will face lower lifetime costs by obviating the need for another new design to support future upgrades in the medium term. The valve was initially beta tested with customers who rated it very positively and it has been through stringent regulatory testing. It will be launched in several European countries this autumn and can be seen first-hand at the EuroBLECH trade fair in Hanover, Germany in October. It has also acquired a name: EVOS. Linde expects to use five to six million of the new EVOS valves and, when the time comes, possibly even more of its next generation upgrade.